We started home brewing simply to save money. Money was really tight but we enjoy a drink in moderation. Having a few friends round for a drink or a meal and a drink was a drain on the budget we couldn’t afford. Home brewing is a lot cheaper but after a while we started to enjoy making our own wine and beer as a fascinating hobby that saved us money. It can’t have escaped your notice that every year the government happily increases the tax rate on alcohol. 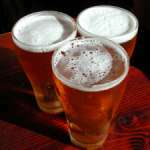 For those of us who enjoy a glass of wine with a meal or the odd beer, it’s bad news. Of course they cite health reasons and reducing binge drinking, so they punish the responsible drinkers along with the minority. With tax running at £2.05 on a bottle of still wine (£2.63 on sparkling) in 2015, there’s quite a saving to be made. And those figures are excluding the 20% VAT. So on a fairly cheap bottle of wine in the shops at £4.00 you pay £2.72 in tax, that’s nearly two thirds of the price you pay! If we want to enjoy a little luxury but we don’t want to pay through the nose, then we can make our own and watch the taxman weep. It’s not rocket science. People have been making wine and beer for thousands of years using the most basic equipment and today we have far superior tools to do the job, which makes life a lot easier. Making your own wine is easier than you might think. The secrets to success are hygiene and patience. Spending the time in cleaning and preparation will pay you back. Most failures are due to utensils or containers not being cleaned properly. You do need to be patient, a wine can take a couple of years for the true flavour to develop and mellow, so the sooner you start the better! 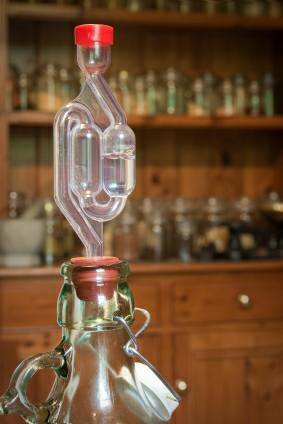 Check out How to Make Wine at Home to get started. 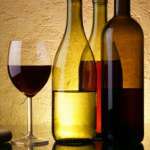 We’ve a wealth of recipes for country wines. Never mind Beaujolais Nouveau – Blackberry wine is far better and the main ingredients can be found for free! Check out starter kits that have all the equipment as well as concentrate you need to get going. 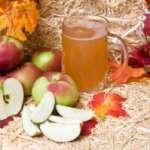 If you happen have a tree or to find a source of apples then cider is a great way to use up a glut. Cider or Perry is really easy to make and you can often find the basic ingredients (apples or pears) for free – real low cost drinking!